Giveaway is over. But, you can still free get iBeesoft software. 2. Write a product review at your personal website/blog with howto tutorial. 3. Post a review (at least 30 words) on iBeesoft official site. 4. Create iBeesoft product howto video and upload to your Youtube channel. 6. Translate iBeesoft products in your own language. If you are ready for it, please feel free to contact sales@ibeesoft.com. 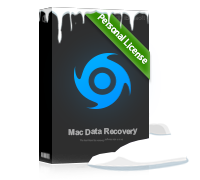 The safe file recovery tool is one of the best Christmas and New Year’s gifts, which recover lost data due to deleted, formatted, drive displays as RAW and other data loss scenarios. Professional undelete and unformat tool to recovers all types of lost files from your hard drive/partition, memory card, USB drive, digital camera, mobile devices, and other storage media. Enterprise-level data recovery solution for enterprises and service providers to recover lost data from PCs, hard disks, SSD, Zip Drives, Server Systems, RAIDs and storage devices. The best Mac data recovery software to completely recover deleted, formatted and lost files from hard drive, USB drive, memory card and more. Powerful Mac file recovery tool to easily recover all lost photos, videos, music files, emails, and documents from Mac and external devices. Covers all features of iBeesoft Data Recovery for Mac and allows to recover unlimited data under Mac notebooks/desktops. iBeesoft software is safe and clean without the virus, etc. Please contact the iBeesoft support team if any problem. All the iBeesoft software comes with 60 days money back guarantee.